In the short term, exercise can improve the condition of our skin, give us a restful night’s sleep and boost our metabolism. Longer term, exercising can lower our risk of getting certain health conditions, including strokes, heart disease and diabetes. But did you know that exercise can also be beneficial to our mental health and wellbeing? When we exercise, our body releases endorphins – also known as “happy hormones”. Sport and exercise psychologist, J. Kip Matthews, Ph.D explains that our body releases endorphins when it experiences stress or pain. Not only does this release give us a sense of euphoria, but it also acts as a natural painkiller by sending signals to our brain to block out feelings of discomfort. While many people are motivated to be active in January as part of their New Year’s resolutions, or to start working on their “summer body”, it is also an important time of year to take extra care of our mental health. The gloomier days, darker evenings and frosty weather can make it harder for us to venture outside and get the important daily dose of fresh air and vitamin D that our body requires. The lack of this essential vitamin can leave us feeling low. In these winter months, taking part in regular exercise can help to boost our mood. Why not try an exercise class? As well as the mental benefits of exercising, completing a class can give you a sense of accomplishment and the social aspect can offer a community feel. Connect your mind and body with a yoga class. 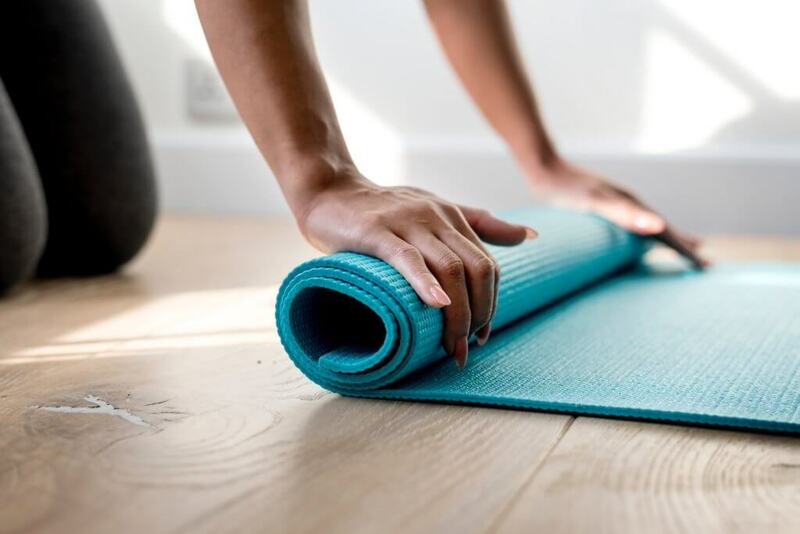 From Yin to Zen yoga, and everything in between, we offer a variety of different yoga classes across our centres in Bournemouth, Portsmouth and Poole. As well as improving your flexibility and core strength, the importance on breathing in yoga can help relieve stress and focus the mind. If you’re looking for something more up-beat, fast paced exercise classes like spin, INSANITY and circuits will get your blood pumping and release those ever important endorphins. Take a look at our classes page to see which classes we offer in your area. 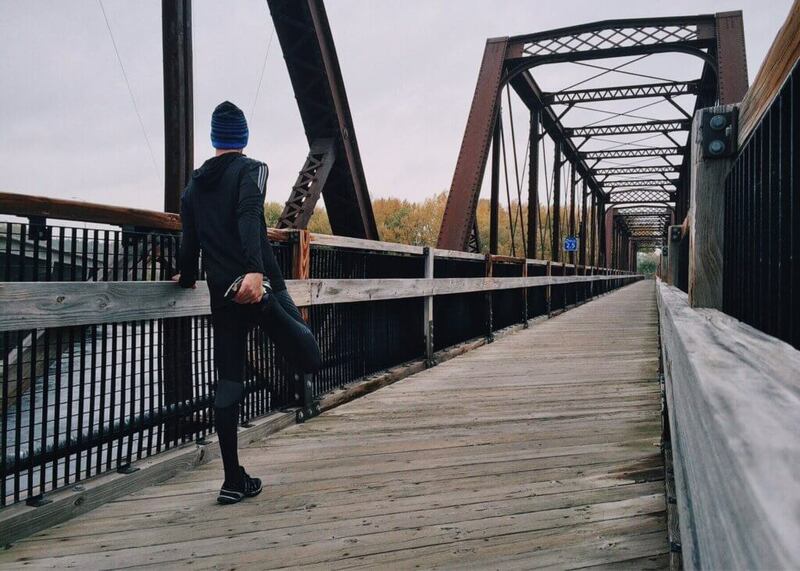 Running is widely accepted as an exercise beneficial to both your body and mind. Not only will going for a run get you outside in the fresh air and allow your skin to absorb some vitamin D, it’s also a great activity to practise mindful thinking to improve your mental wellbeing. Why not take out your headphones and take in the beautiful outdoors. The simple 5, 4, 3, 2, 1 method can be used to calm anxiety and help you feel in touch with your surroundings. Start by looking around and mentally noting five things you can see, then listen out for four things you can hear. Follow that up by counting three things you can feel, two things you can smell and finally identify one thing you can taste. This simple mindful exercise can re-focus your mind and help you to feel connected to the world around you. Or why not add in the social factor of running and buddy-up with a colleague, friend or family member? We offer a weekly running group at our Littledown and Pelhams centres in Bournemouth and Pyramids in Portsmouth, so why not come along and start reaping the rewards of running. If you’re just starting out, why not set yourself a challenge. When the weather gets nicer in March, we’ll be running a couch to 5k in Portsmouth, and if you’re Bournemouth based, the Bournemouth Bay Run is taking place on Sunday 7 April with opportunities to run 5k, 10k or a half marathon. Whatever exercise you decide to try, remember to focus on the mental importance of why you’re doing it as well as the physical reasons. Why not kick start your active journey by signing up for a free 5 day guest pass. If you’re just starting out, begin with something easy and build up the frequency of your exercising as your stamina, ability and confidence grows. Come and speak to us when you’re next at your local centre if you need help with structuring your exercise regime, or want some suggestions for a new workout to try. If you think you may be struggling with a mental health condition, speak to your GP. For resources to find out more about mental health, and to find details of helplines for urgent support, please visit the NHS website. This blog was written by Keziah Leary, Marketing Executive.